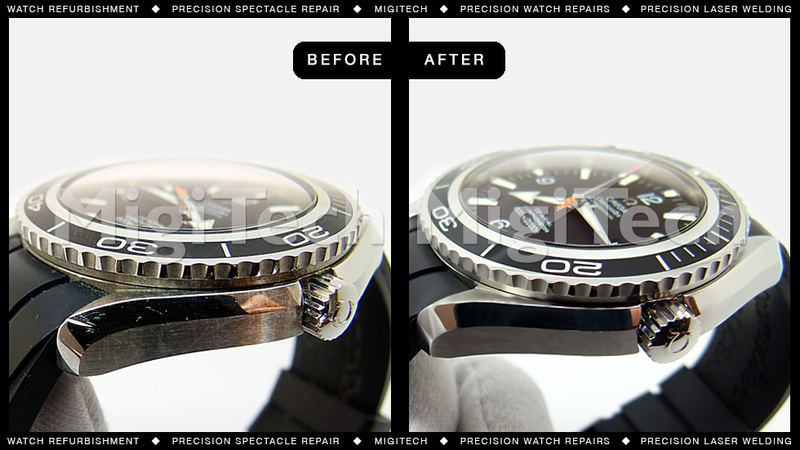 We love restoring the quality of your valuable timepieces. We keep your watch ticking, prices starting from $44. Our expert refiner/polisher technician is one of the most qualified in Australia. He produces work of unique quality using techniques he perfected during years of training, particularly in Switzerland but also in Australia. His ability as a case finisher is unique. 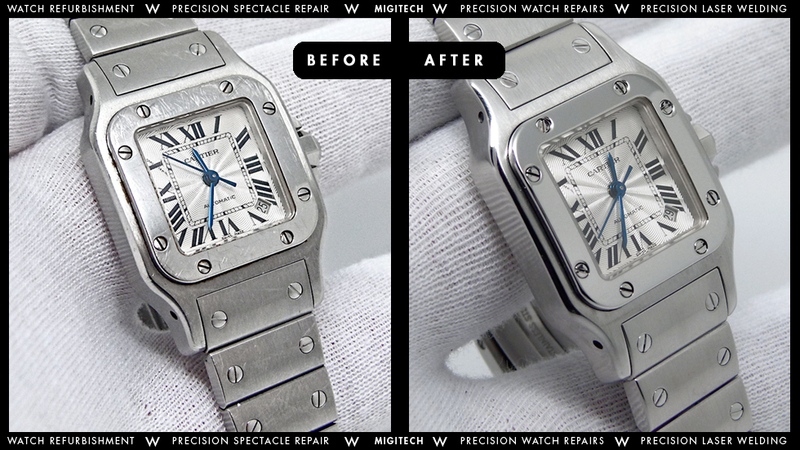 Some of the watches he works on are so badly damaged that only the addition of material via Precision Laser Welding, can bring back the original characteristics of the watch. He also uses a horizontal lapping machine to cover the intricate angles of most watches. This machine is the only one of its kind in Australia. 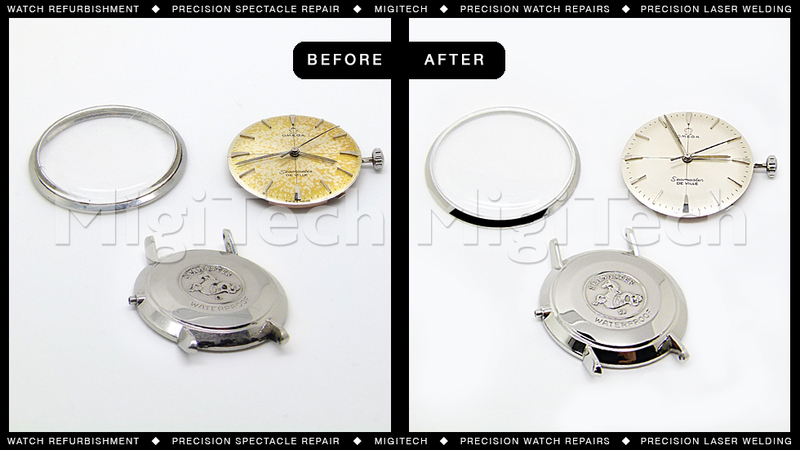 Finally, if need be, our refiner/polisher can also create tools for more difficult watch case or bracelet jobs. See examples of our refiner/polisher technician’s work below. Powered by Creative Web Solutions | Copyright © 2018 Migitech Pty. Ltd.